Have you ever wondered why South Africa uses fruits in curries and stews? Or why South African curries are often yellow in colour? 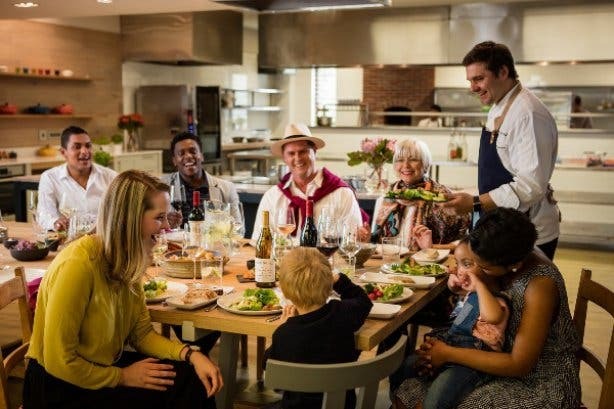 If you like to pair a love of food with a pinch of curiosity then you’ll love the South African Table – a delicious food and wine pairing that celebrates everything local and lekker about South African food in a way that encourages sharing stories and personal experiences by Leopard's Leap Family Vineyards. Offered exclusively for one hour on Wednesdays, Thursdays and Saturdays, and led by Leopard’s Leap top chef, Pieter de Jager, and one of Leopard’s Leap’s knowledgeable Wine Tasting Ambassadors, this is one table you will want to wine and dine at. Expect seasonal flavours to burst from the plate and palate as each ingredient and flavour is unpacked for your dining pleasure. Interaction is the name of the game, and not only between the chef and guests. At this table, all guests are encouraged to share their childhood memories and cultural references around the dishes and ingredients. It’s also no coincidence that the event takes place at “the Family Table” – a long wooden table on the edge of the kitchen, where the chef moves between stove and table with each new dish and story. This event is not about fine dining heritage foods. In fact, you don’t need to know anything about food. No fancy jargon required! And because no two dishes or events are alike, you’ll have an excuse to come back again or bring your work colleagues for a “cultural” event that just happens to be delicious. 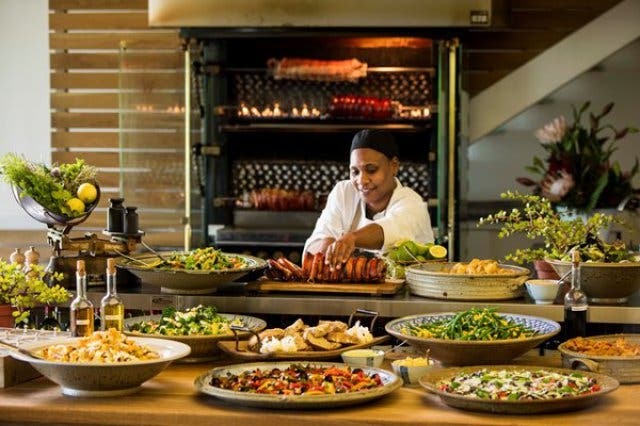 And if you still have room to spare, you can stay to enjoy their famous rotisserie and harvest table lunch, which closes at 15h00. The South African Table happens every Wednesday, Thursday and Saturday between 12 and 1pm and costs R250/p (including food and wine). 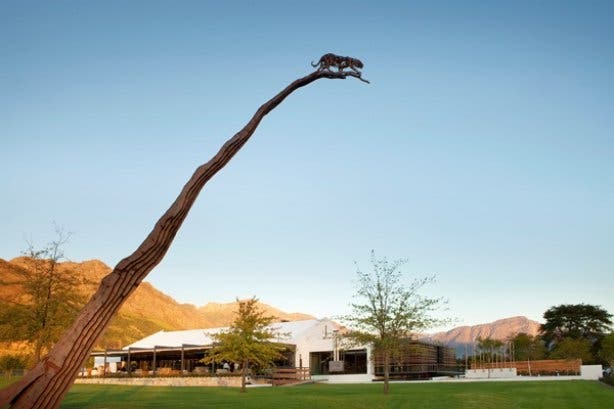 Book via email reservations@leopardsleap.co.za or phone +27 (0)21 876 8002. Please note: No refunds will be given if cancellation is less than 48 hours prior to the South African Table event. Wine Tasting: Tuesday – Saturdays 09:00 – 17:00, Sundays 11:00 – 17:00. Please note: Leopard’s Leap is closed on Christian religious holidays. Enjoy good food and wine? 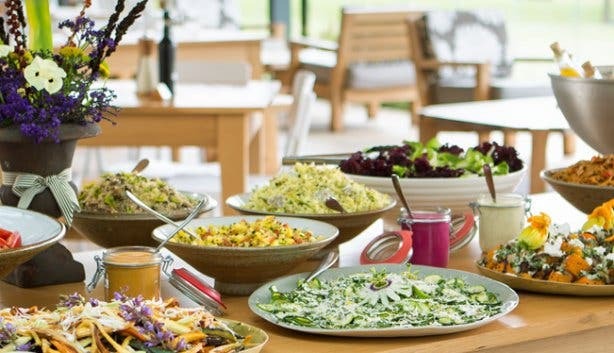 You’ll love these unique wine tasting to try and these Sunday wine experiences and our delicious selection of best buffet lunches in Cape Town. 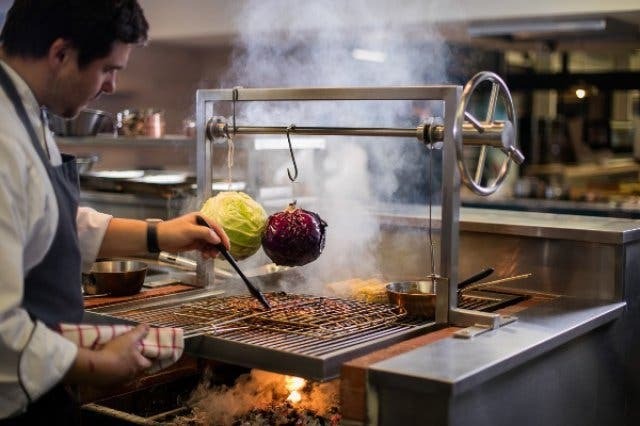 And, if you want to take it a step further and upgrade your culinary skills, you’ll love these cooking classes in Cape Town. You'll also enjoy discovering these surprising and unique places to have your next office party.